This case study examines communities lodging complaints against Wilmar, one of the world’s biggest palm oil companies. 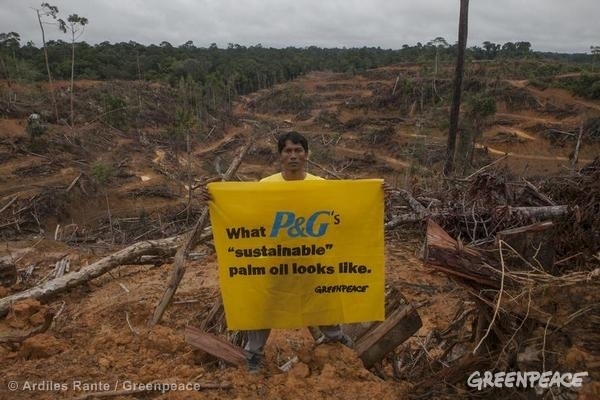 Wilmar produced palm oil is used in a range of products through global company supply chains. 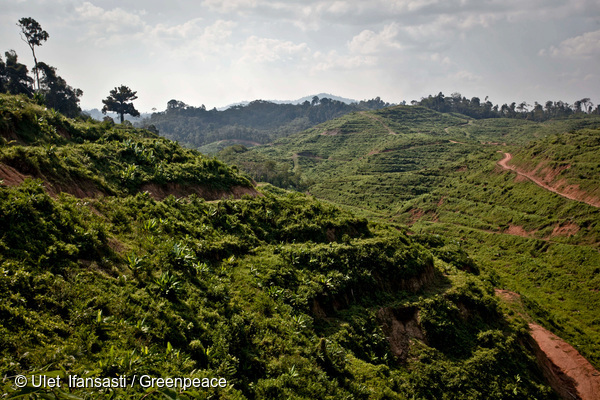 Communities affected by palm oil operations have raised multiple environmental and human rights issues. Most of these complaints are oriented towards efforts to protect the land rights of local people in Sumatra, Riau and West Kalimantan in Indonesia. Communities pursued complaints through the Compliance Advisor Ombudsman (‘CAO’) for the International Finance Corporation (‘IFC’) and Multilateral Investment Guarantees Agency (‘MIGA’), and the Roundtable on Sustainable Palm Oil (‘RSPO’), among other judicial and non-judicial mechanisms. This case study includes examination of mediations facilitated by the CAO between local communities and Wilmar subsidiaries in Sumatra, Riau and West Kalimantan in Indonesia. The RSPO played only a marginal role in the management of these disputes. Mediations in Riau and Sambas (West Kalimantan) resulted in agreements whereby the Wilmar subsidiary company relinquished some land, mostly planted with palm, to communities who now use it to support their livelihoods, but with capacity difficulties. Mediations with a number of communities in Jambi were complex and protracted, and the CAO’s attempts to facilitate mediation was brought to an abrupt close when Wilmar sold the subsidiary, PT Asiatic Persada, to companies that had no relationship to the IFC, and were not members of the RSPO. In addition to the CAO facilitating these individual mediations, these complaints have led to two separate audits of IFC lending practices in the palm oil sector conducted by the CAO’s compliance arm. 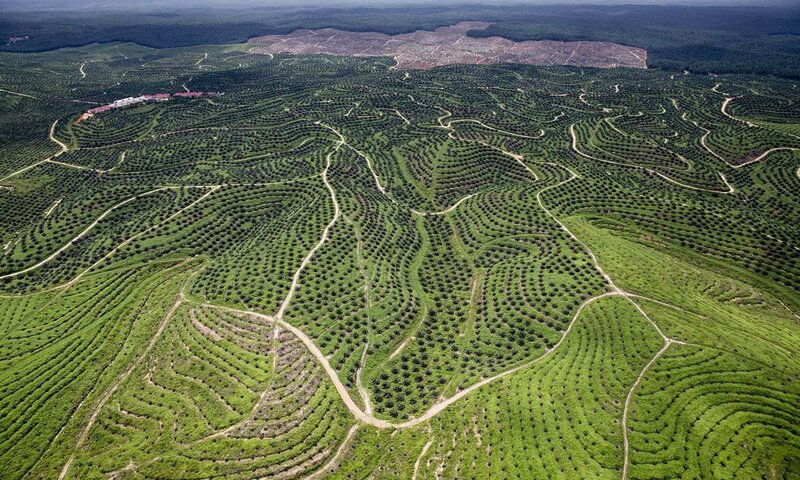 The first, which was completed in 2009, identified significant non-compliance by the IFC with its standards and led to a temporary moratorium on palm oil investment, a review by the institution of its involvement in the sector, and subsequent development of a new framework to govern the World Bank Group’s investment in palm oil. The second compliance audit, pertaining to a 2010 disbursement to Wilmar, also found significant failings in IFC procedure. 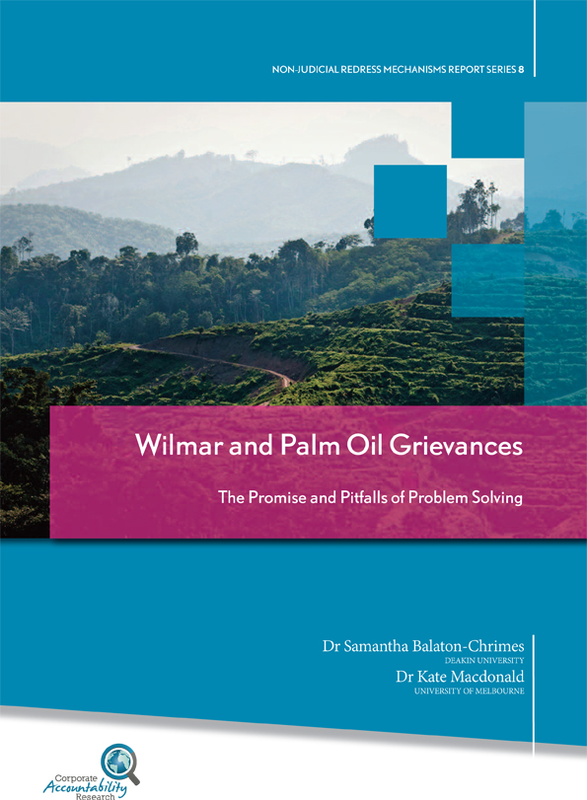 This report outlines a number of complaints made to transnational, non-judicial grievance processes about palm oil giant Wilmar in Indonesia, situating them within a broader landscape of remedy mechanisms. The palm oil sector holds the promise of economic growth, employment and development, but is also widely acknowledged as entailing significant social and economic risks. Human rights concerns in the sector relate to the displacement and dispossession of indigenous people and local communities from their lands as the sector rapidly expands and plantations are established in frontier areas; and the social and economic rights of smallholders and landless labourers who often work in conditions that entrench rather than alleviate their poverty. Wilmar is one of the world’s biggest palm oil companies and has been the target of complaints to the Office of the Compliance Advisor Ombudsman (CAO) for the International Finance Corporation (IFC) and Multilateral Investment Guarantee Agency (MIGA) (henceforth referred to as ‘CAO’), and the Roundtable on Sustainable Palm Oil (RSPO), among other local non-judicial mechanisms. These complaints centre around human rights issues associated with violations of land rights of indigenous people and local communities, and to a lesser extent with transformation of livelihoods to smallholding ‘plasma’ arrangements, and violence and intimidation when protesting against companies. The CAO received three complaints about Wilmar between 2007 and 2011 from a consortium of local, national and international non-governmental organisations (NGOs) on behalf of communities in dispute with Wilmar over land rights. The Compliance arm of the CAO conducted an audit, released in 2009, that found the IFC was not compliant with the IFC Performance Standards in its financial support of Wilmar. 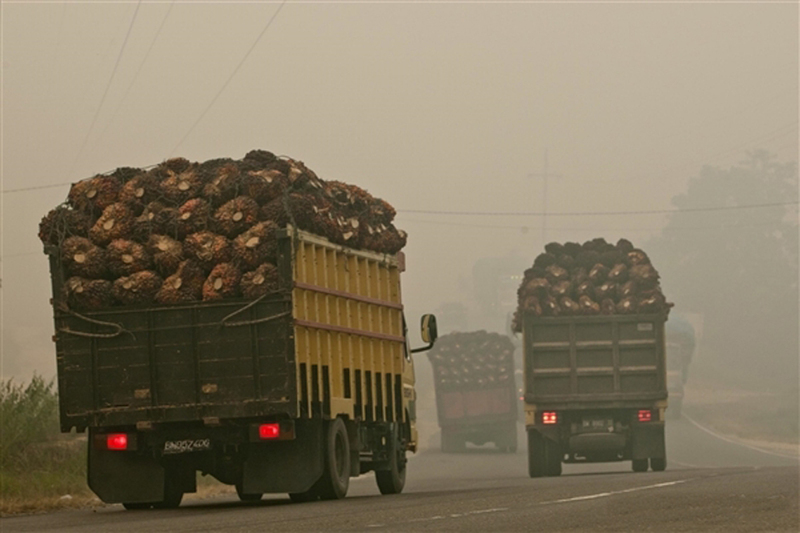 This led to a moratorium on palm oil investment in the entire World Bank Group, and the development of a World Bank Group strategy for investment in palm oil in 2011 (which had hitherto been non-existent); procedural improvements in the handling of applications for financial support in the sector; and the establishment of an IFC Advisory Services program to support social and environmental improvements in the sector in Indonesia. A second investigation of IFC was conducted and released in May 2016 that found further failures in IFC’s compliance with respect to a 2010 disbursement to Wilmar, despite the findings of the 2009 audit. 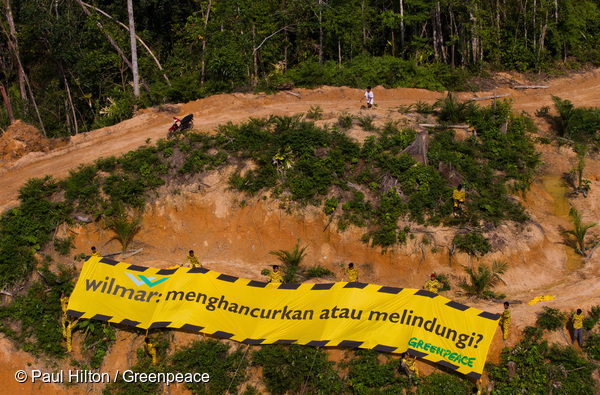 To our knowledge, the IFC has not made a palm oil investment since 2011. The Ombudsman arm of the CAO facilitated mediations in three sites: Sambas, Riau and Jambi. In Sambas and Riau, community groups reached agreements with the Wilmar subsidiary plantations that involved land sharing and the establishment of ‘plasma’ smallholding arrangements, where communities establish cooperatives that manage the land and sell the palm fruit to the company. In all these cases, years after the agreements were implemented community groups complain that they are unable to make a living from these arrangements as they lack the technical (agricultural and management) expertise to make the land sufficiently productive, and they are now in debt. In Jambi, after more than two years of negotiations in which the Wilmar subsidiary was widely accuses of failing to engage meaningfully in the process, Wilmar sold the subsidiary and the new owners declined to take up the CAO’s offer to continue the mediation. The RSPO is a voluntary, multi-stakeholder organisation, the main focus of which is standard-setting and certification of sustainable palm oil production. The RSPO includes representatives from seven sectors of the palm oil industry: oil palm growers, palm oil processors or traders, consumer goods manufacturers, retailers, banks and investors, environmental or nature conservation NGOs, and social or developmental NGOs. It is the pre-eminent organisation working towards social and environmental sustainability in the sector globally. The pervasive presence of disputes in the sector has meant that development of a complaints system has become an important element of the RSPO’s overall regulatory system. Though a number of complaints have been made about Wilmar to RSPO, two were studied for this research, both of which were made by the same community groups and civil society supporters engaged in the CAO process: one was in Jambi, one in Sambas. The RSPO complaints system was in nascent form at the time of these complaints, and so the RSPO deferred to the CAO processes for handling these complaints, and participated as an observer for learning purposes. Though it did not handle the grievances directly, the RSPO contributed to the cases by providing a forum in which affected parties could come together (e.g. communities, civil society groups and Wilmar executives at RSPO meetings); increasing community leverage over Wilmar, as the company had to be seen to be responsive to protect its reputation in the market; and taking up some of the systemic problems underlying the grievances in its working groups (e.g. free, prior and informed consent). · The CAO-facilitated agreements in the Sambas and Riau cases were not so much complete remedies of the human rights harms of aggrieved communities as compromises between, on the one hand, the communities’ claims to land rights and demand for some livelihood and, on the other, the companies’ claims to legal land rights and the right to earn a return on investment for planted areas. Furthermore, the difficulties in effectively implementing the agreements rendered the outcomes ineffective in terms of addressing the underlying grievances related to landlessness and poverty. · In Jambi, despite the best efforts of largely well-respected mediators, the mediation processes failed to deliver any tangible outcome, and had the negative effect of wearing out communities through a gruelling two years of negotiations. · To our knowledge, any direct effects on existing human rights issues in any other plantations either in Wilmar’s supply chain, or directly owned by Wilmar as a direct result of the complaint process of the CAO or RSPO were marginal or negligible. · Wilmar has broadened and strengthened its institutional commitment to human rights issues, for example by partnering with The Forest Trust on a ‘No Deforestation, No Exploitation and No Development on Peat’ policy, and through the establishment of a company-level grievance mechanism. However, the concrete impact of these commitments on human rights outcomes in plantations remains unclear. · The IFC and broader World Bank Group have significantly strengthened their processes for engagement in the sector and have a much greater awareness of its social and environmental risks. The IFC has also established development support to address some of the key issues in the sector via its Advisory Services, however the impact of this work also remains unclear and the findings of the 2016 Compliance investigation suggest challenges in making these changes meaningful within the IFC. The Wilmar case to the CAO and RSPO generates four key overall lessons about the difference that transnational, non-judicial human rights mechanisms can make in cases of human rights grievances. Firstly, problem solving as a mode of addressing human rights grievances can have some value in its remedial flexibility, for example by providing livelihoods, but it should not be conflated with human rights remedy. It does not hold human rights as minimum standards in agreements and is better understood as a bargaining process. Secondly, though some solutions can be provided in problem-solving cases, this case suggests those solutions can easily fall short of remedying the human rights harm, or positioning the affected community complainants to enjoy a secure livelihood, land rights and culture. There is potential to improve human rights compliance in problem-solving processes, and some changes in CAO operations could address this issue. Thirdly, if this problem-solving is deemed the best possible avenue for addressing human rights issues, for pragmatic reasons, balancing of power between parties is crucial and was inadequate in the CAO processes in this study. Some more significant changes in CAO’s approach could start to address this issue. Finally, there is some potential for non-judicial mechanisms to link local cases to systemic issues and advance systemic change in the country and the sector. However, this potential is highly contingent on relationships between all stakeholders, including particularly government, and on the willingness of a mechanism to use those relationships to advocate for more programmatic responses to key issues. Grievance mechanisms based on problem-solving (such as the CAO and RSPO), that come to resolutions via negotiated agreements rather than audit and compliance with minimum standards, must continue to work towards managing public perception of their function so that they are not seen as human rights mechanisms. Currently both the CAO and RSPO do present themselves primarily as dispute resolution mechanisms. However, many community groups and civil society organisation continue to approach these mechanisms as human rights mechanisms, and so the need for more communication and expectation management on this front persists. More consideration needs to be given to minimum standards for ‘solutions’ or ‘agreements’ so they comply with human rights norms. Mechanisms might consider introducing human rights standards as starting points for negotiations, and compliance checks on agreements to ensure they meet both the organisation’s own standards (e.g. IFC Performance Standards) and human rights norms. Similarly, more attention is needed to the long-term implementation of such agreements, and support for communities to make good use of them. In the Wilmar case this did not take place, but the CAO has provided this kind of support in other cases and should do so more often. More investment is required to equalise both capacity and leverage of parties to balance power between parties. In the problem solving processes undertaken in this case, the CAO was committed to both impartiality and to balancing power between parties in dispute resolution to facilitate fair outcomes. However, competing interpretations of impartiality influenced the CAO’s operational decisions with respect to capacity and leverage. Impartiality can be interpreted variously as ‘having no position’, ‘being outside the dispute’, ‘being free from bias’ or being ‘fair’, meaning ensuring no undue advantage or disadvantage to either party. In the Wilmar case, the CAO ombudsman function privileged interpretations that relate to being ‘outside’ the dispute, while also trying to attend to interpretations that emphasise fairness and a freedom from bias or disadvantage. The imperative to keep the company engaged – an inherent part of the logic of a problem-solving approach – meant that approaches to capacity building and leverage erred on the side of ‘being outside the dispute’ and efforts to address power imbalances fell short. In most cases of company-community conflict, problem solving processes would then require more effort to build capacity and leverage for communities, as companies already enjoy significant advantages. · In relation to capacity, grievance mechanisms should consider providing more direct capacity building for communities, and/or support and resources for civil society groups to conduct this difficult work. · In relation to leverage, though many of the structural disadvantages communities face against businesses cannot be directly resolved, steps can be taken to mitigate this imbalance in leverage in problem solving processes. Some possibilities for doing this include using standards and forms of evidence that favour communities to mitigate the current privileging of companies in legal and scientific forms of evidence; mitigating the vulnerability of communities by providing for their livelihood during problem-solving process and taking all possible steps to ensure their safety; supporting communities to continually deal with internal disagreement and conflict so it cannot be used to divide them; allowing community and civil society mobilisation if the company is not meaningfully engaging in the process; and allowing NGOs to represent communities under certain circumstances. Mechanisms should continue to invest, as the CAO and RSPO already do to an extent, in building local relationships. A combination of formalised structures for these relationships, and informal networks, is required for their effectiveness. Investment in these structures, including the informal ones (such as travel) is necessary. Particular attention and investment is required to support local NGOs to support local communities to use individual cases to advance broader change in their own national contexts. Where mechanisms have relationships with development organisations that can contribute to addressing underlying drivers of human rights harms, they should use those relationships to advance broader projects, such as the IFC Advisory Program on palm oil. Any decision to take a grievance to a problem-solving mechanism must take into account that it cannot guarantee rights-compliance, and consideration given to whether or not it is the right choice if human rights fulfilment without bargaining is the objective. Community groups and their supporters should be proactive in any negotiations to propose minimum standards that are more likely to protect their rights, and to propose a compliance check on any agreements. Communities and their supporters should also try to ‘build in’ to any agreements long-term support for their implementation, and the possibility of renegotiation if the underlying grievances and/or human rights issues are not adequately resolved by the agreement. One of the most important roles civil society organisations can play is in the building of capacity for communities to make a complaint, navigate it, and then make use of any agreements through an implementation phase. Currently, this burden falls on local NGOs. Civil society organisations with more resources, and donors should consider providing resource support for this critical work. It is appropriate, however, that local NGOs with close relationships with communities continue to play the role of primary support for communities to ensure relationships of trust, understanding and legitimacy. Strategic consideration needs to be given to ways to equalise leverage within negotiation processes. Learning from the experiences of groups that have gone through mediation is critical here. Some civil society groups may consider building expertise in this area and providing training and tactical support to community groups in negotiations. Groups might consider explicitly raising imbalances of leverage in early negotiation discussions to work towards a more level playing field. It is important to maintain community and civil society networks that already exist, and strengthen them. Strong networks can facilitate greater learning and advice-sharing between communities engaged in grievances, and greater use of individual cases to advance bigger issues where appropriate. In Riau the CAO supported a pre-existing mediation by local NGO Scale-Up.